ALL FIELD PERSONNEL AND OPERATIONS MANAGEMENT PERSONNEL ARE REQUIRED TO COMPLETE THIS TRAINING ONCE PER YEAR. 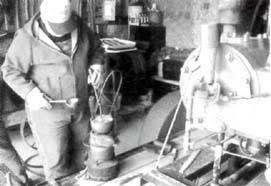 related injuries during the use, handling, removal, and melting of materials containing lead. Lead is metallic lead, all inorganic lead compounds and organic lead soaps. Some of the properties of lead that make it a useful structural material are: Low melting point Very abundant, High molecular weight, High density, Very malleable (easy to shape). -Once lead enters the body, it enters your bloodstream and is circulated throughout your body. -This lead then becomes stored in various organs of the body. 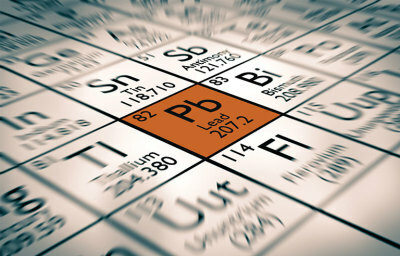 -If you continue to be exposed to lead, you will begin to store more than your body can get rid of and you will begin to suffer the symptoms of lead poisoning. -Lead interferes with the formation of the hemoglobin in blood and will cause anemia. -Lead causes cellular kidney damage which leads to kidney failure. -It can cause reduced sperm count and decreased fertility. 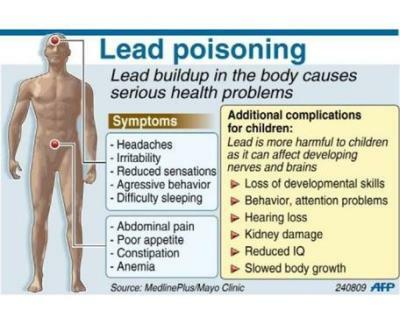 -Lead can damage the nervous system, the blood forming organs, kidneys, and reproductive system. -Chronic exposure initially damages the blood forming and reproductive organs and eventually cause peripheral nerve and central nervous system damage. -Lead can pass from mother to infant through the placenta. Exposure to lead can have serious effects on the reproductive function of both males and females. In males, there can be a decrease in sexual drive, impotence, decrease the ability to produce healthy sperm and sterility. There is a higher frequency of sterility, premature births, spontaneous miscarriages, and stillbirths. Lead can alter the structure of sperm cells raising the risk of birth defects. Infants with mothers who had lead poisoning have a higher mortality rate during the first year and suffer from lower birth rates, slower growth, and nervous system disorders. If Action Level is exceeded, it is necessary to begin air monitoring, employee training, and medical surveillance. writing of the exposure as soon as possible, but not later than 5 days after the finding. to reduce exposures to 200 mg/m3, but thereafter may implement any combination of engineering, work practice, and respiratory controls to reduce and maintain employee exposure to lead to or below 50 mg/m3. The action level (AL) for an 8 hour TWA exposure to airborne lead is 30 microgram/cubic meter of air (without regard to respirator use). Biological monitoring and medical surveillance shall be initiated when an employee's exposure exceeds the action level for more than 30 days per year. The specific nature of the operations where lead is possible. The purpose, proper selection, fit testing, use, and limitations of respirators and Contents of facilities' compliance plan. - When feasible, the heating of lead and leaded materials shall be minimized through the use of controlled heating or the removal of lead-containing surface coatings prior to heating. - Procedures shall be established to maintain work surfaces as free of lead dust as practical. Lead dust shall be cleaned with HEPA filtered vacuum cleaners. - Wet sweeping and brushing may be used only when vacuuming has been tried and found not to be effective. 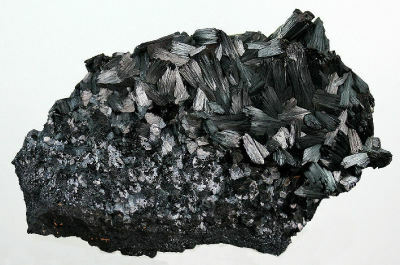 - Hot work on lead and abrasive lead removal operations shall, to the extent possible, be isolated from other operations. - To the extent feasible, fixed local exhaust ventilation connected to HEPA filters or other collection systems, approved by the cognizant industrial hygienist, shall be provided at the point of airborne particulate generation. - Clean out points must be provided for periodic maintenance. - The ventilation systems shall be tested every 3 months and with 5 days of any change which may result in a change of employee exposure. - Test records shall be retained for 50 years. - The recirculation of HEPA filtered air is not recommended. Exposure to lead can be reduced by the use of personal protective equipment. Protective clothing should be full body, one-piece coveralls supplied and laundered by the employer or a contractor shall be used. Clothing must be waterproof when the wet lead is handled. One piece, disposable coverall made of Tyvek or equivalent may also be used. Durable gloves and head coverings shall be used. Hoods shall extend beyond the collar of the coverall. Slip-resistant shoe covers or lightweight rubber boots shall be provided. Disposable shoe covers may also be used. Face shield, vented goggles, or other appropriate protective equipment shall be provided and used whenever the possibility of eye irritation exists. - Full face shields are required if lead aerosols cause eye or skin irritation. Clean protective clothing shall be provided at least weekly, or daily when the 8 hr TWA concentration exceeds 200 micrograms. Personnel identified as working in lead hazard areas shall be participants in the command's respiratory management program. -Unventilated hot operations, where temperatures are not controlled. -Melting operations without thermostatic controls. -Unventilated indoor or outdoor spray painting operations. E Light Electric Services, Inc. does not manufacture lead-based products and our employee exposure to lead-based products is limited to paint in older buildings and some anchors for fasteners. Understanding the risks of lead is the greatest precaution we can take at E Light to help all of us be safe.